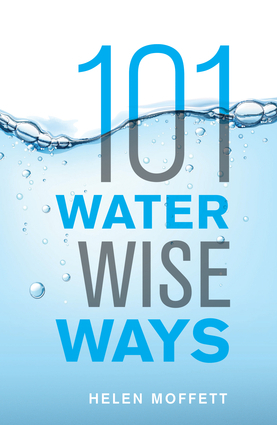 This book, a “can-do” collection of more than 101 water-wise tips, is a guide to changing your relationship with water. Long-term, immediate, big, small, from the sensible to the quirky, from kitchens to bathrooms, businesses to institutions, there’s something here for everyone.Three provinces in South Africa have been declared national disaster zones because of drought, and Cape Town still faces the real possibility of running out of water entirely in the near future. Helen Moffett is an editor, activist and academic. She grew up on farms where water was a precious resource, and now lives in Noordhoek in Cape Town, South Africa. She has authored, co-authored or compiled fifteen books, ranging from university textbooks to cricket to erotica. She blogs about water under the "Green Hat" tab on www.helenmoffett.com.